Liam Young of Tomorrow’s Thoughts Todayis now running a Fall graduate Studio at the Princeton School of Architecture. 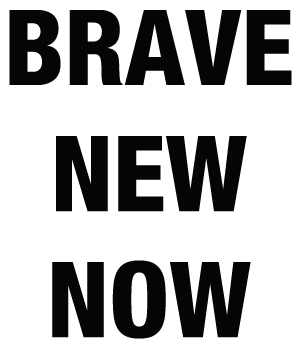 BRAVE NEW NOW exists in the territory where science fiction becomes scientology, between the documentary and visionary, where speculative fictions become a way of exploring a world that realist fiction struggles to grasp. The studio will develop filmic fragments of the near future city. We have always regaled ourselves with speculative stories of a day yet to come. On the occasion of the Universal Exhibition in New York in 1939, the American designer and theatre decorator, Norman Bell Geddes created an exhibition of the city of the future for the General Motors pavilion, the Futurama. It presented a preview of what the city would be like in 1960. Sitting in pairs in chairs that circulated on a conveyor belt, the astounded visitors observed the city of tomorrow from below, with its skyscrapers, traffic lights at every junction, interchanges and expressways. They also admired the automated farms of the future in the countryside of tomorrow. Each visitor received a badge stating “I have seen the future” as a souvenir of this voyage through time. The Futurama ride was a project with enormous social ambitions and embodied the issues surrounding the recent discipline of design that was aimed as much at urban planning as at the production of contemporary consumer objects. We have always imagined the spaces and environments of a day yet to come. As we flick through the catalogues of yesterday’s tomorrows we see starry spaceship skies, moon base futures, jet pack ray guns, food in pill form, flying cars and xray specs and we wonder whatever happened to the futures we were promised. In these polemic visions we furnish the fictional spaces of tomorrow with objects and ideas that at the same time chronicle the contradictions, inconsistencies, flaws and frailties of the everyday. These visions of what’s to come do not merely anticipate but actively shape technological futures through their effects on the collective imagination. This capacity for a fictional project to simultaneously reflect the current condition while suggesting the possibility of the next is what drives our engagement with these visions of the future. BRAVE NEW NOW exists in the territory where science fiction becomes scientology, between the documentary and visionary, where speculative fictions become a way of exploring a world that realist fiction struggles to grasp- a world increasingly ruled by unreality. BRAVE NEW NOW will slip suggestively between the real and the imagined to present filmic fragments of the near future city.